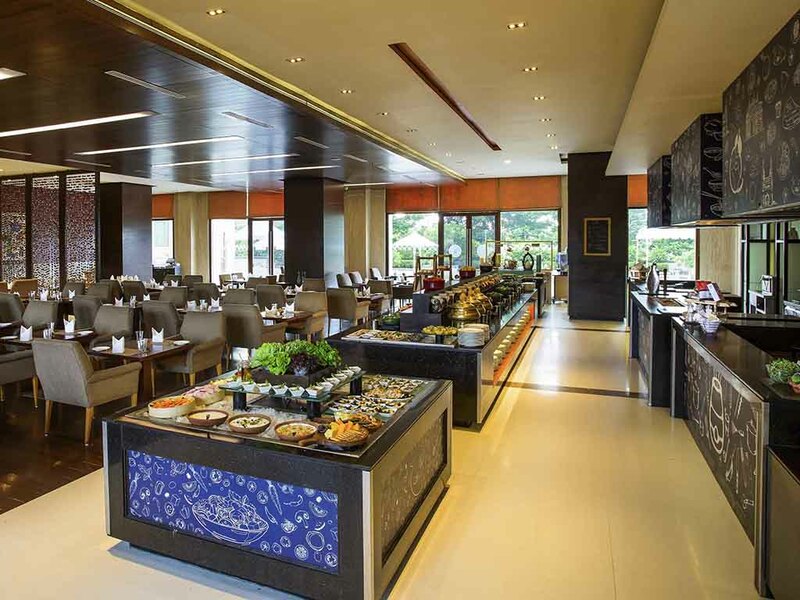 With live cooking counters and choice of veg and non-veg dishes and lip smacking desserts our culinary team at “The Square” makes sure that you come back for more. 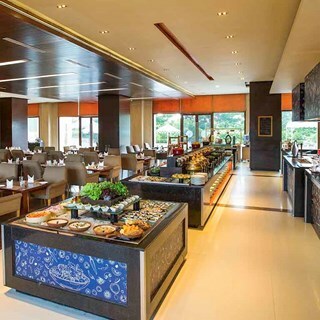 A signature multi-cuisine 24hrs restaurant of Novotel Hotels across Asia Pacific, adorned with European style décor boasts of pleasant view and comfortable ambience. Our guests, if they may like, can also dine at the pool patio or may be soak some sun in the alfresco while indulging in our delectable buffet. The Square also serves drinks round the clock. location and ambiance of the hotel are amazing. The ambiance is wonderful and the food is awesome. Can't ask more! Thanks Novotel! Cheap drinks, foods and service. The food was excellent but the live counter had very few offerings compared to other BBQ places in the city. Please add a few more chicken items, the only chicken item was chicken wings in the live counter. The ambiance is good and the service was great too. Thanks for a good evening. My guest enjoyed the ambiance and relished food. Staff are decent and well mannered. It's worth a place to enjoy with family and friends! happy to be there every time. Overall it is a nice experience !! !